PoolParty provides you with an excellent toolset that can be easily applied. The ‘Concept Tagging’ module enhances your users’ experience of your collaboration and knowledge hubs. Improve your enterprise information systems: building a taxonomy or using your existing controlled vocabularies is a breeze with PoolParty and also lets you apply tags semi-automatically. Thus categorizing your content along a stringent logic, search functionalities become more precise and personalized content services will be meaningful. 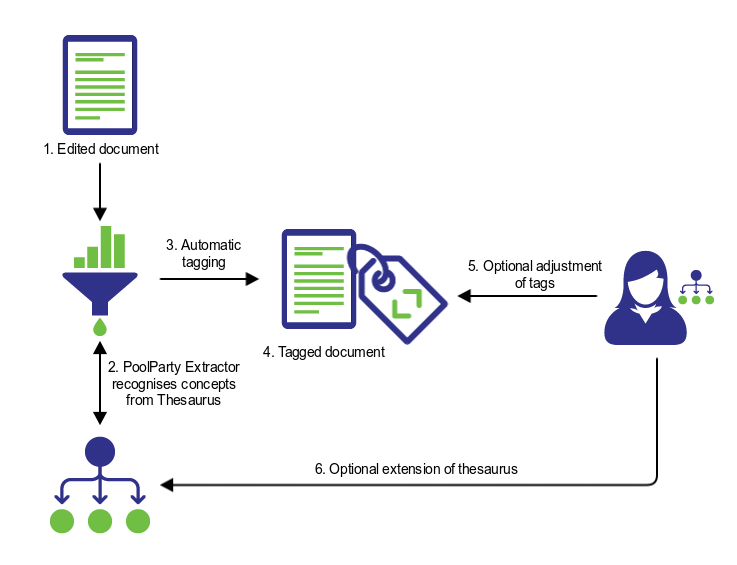 The PoolParty Semantic Suite includes a text-mining and entity extraction module that analyzes your content repositories. Term and context relevancy are matched against the underlying taxonomy. The system generates tags, which the user can individually apply. The semi-automatic approach provides results that really fit the subject matter. Concept Tagging is a learning system. The quantity of analyzed content impacts the quality of your automatically generated metadata. 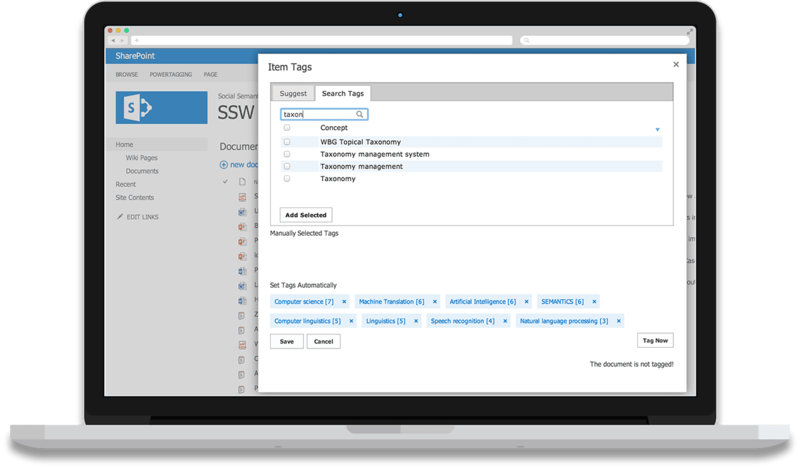 Concept Tagging streamlines your internal content workflow. Also multiple content producers can ensure consistent content classification as they are guided along a common knowledge model. End users label their web-based work with automatically generated tags they can manually adapt if necessary. Your metadata enriched content is a perfect foundation to improve your search functionalities. Concept Tagging is your highly efficient tool for establishing a powerful content recommendation engine. Thanks to PoolParty API, you can customize Concept Tagging for every available CMS and collaboration platform with low effort. We also support you in building the customization that is right for you.